From Highway 61, follow Highway 47 (160th Street) west about 3 miles, where it will turn south towards Northfield. The field is approximately 1.5 miles south of this intersection on Highway 47, on the east side of the highway. Entrance is marked with a sign reading "Tom Norman Field, Home of Rich Valley R/C Club". From Highway 52, follow Highway 46 east to Highway 47 and go south (about 1.5 miles). Field is on the East side of the highway. 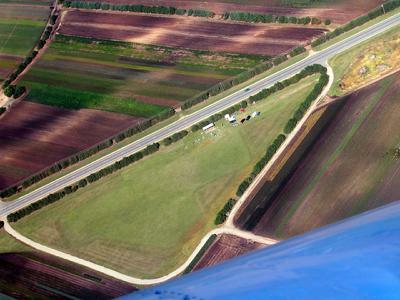 Entrance is marked with a sign reading "Tom Norman Field, Home of Rich Valley R/C Club". This is a private field, operated and maintained by Rich Valley R/C Club. Club Members and Guests must show proof of AMA Insurance. @ South St. Paul Airport (Fleming Field) terminal building. 1725 Henry Ave., So St. Paul. 7:00 PM.